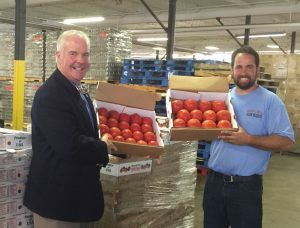 Owner Jeff Probst (right) of Blooms & Berries Farm in Loveland presents 2,000 pounds of donated tomatoes to Kurt Reiber of Freestore Foodbank. 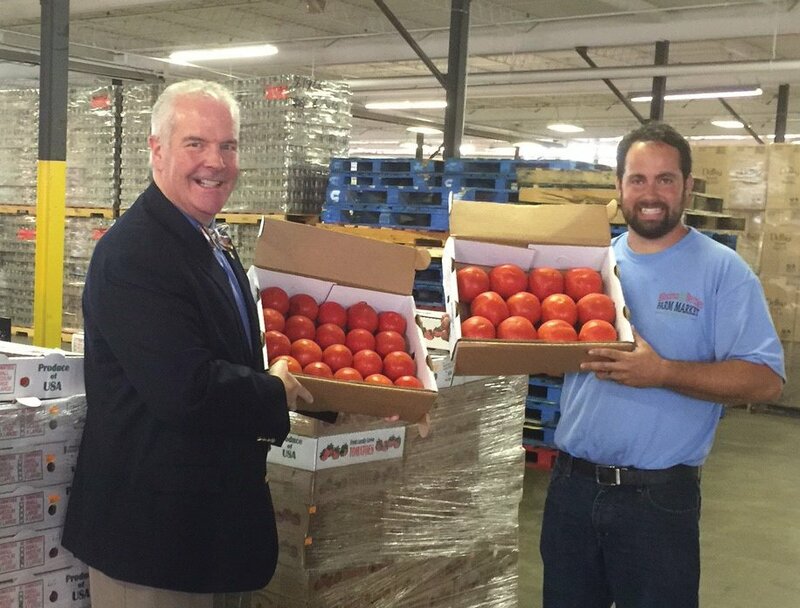 Loveland’s Blooms & Berries Farm Market donated 2,000 pounds of farm-ripe tomatoes to the Freestore Foodbank. Most of the donation was financed directly by Blooms & Berries Farm, but customers of its farm and produce road stands were also encouraged to purchase 10-pound boxes of tomatoes to send to the food bank.